Rameau wrote two complete 'Anacréons', both of them one-act 'acte de ballets', but with two different plots and librettos. 'Anacréon' (1754) was set to a libretto by Louis de Cahusac and had a successful premiere followed by some performances in Paris after the composer’s death, and then fell into oblivion for almost 250 years. 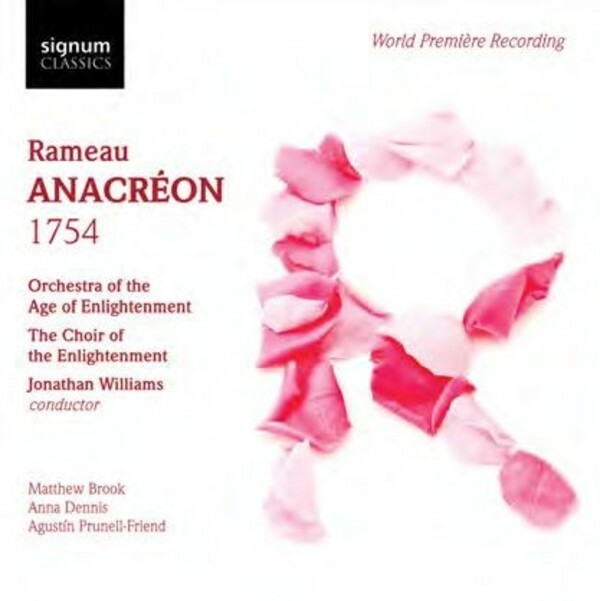 From fragmented manuscripts scattered through Paris’s libraries, Dr Jonathan Williams has reconstructed the work, had his edition published by Bärenreiter, and now leads this world première recording, joined by a leading cast of soloists and the Orchestra and Choir of the Age of Enlightenment.